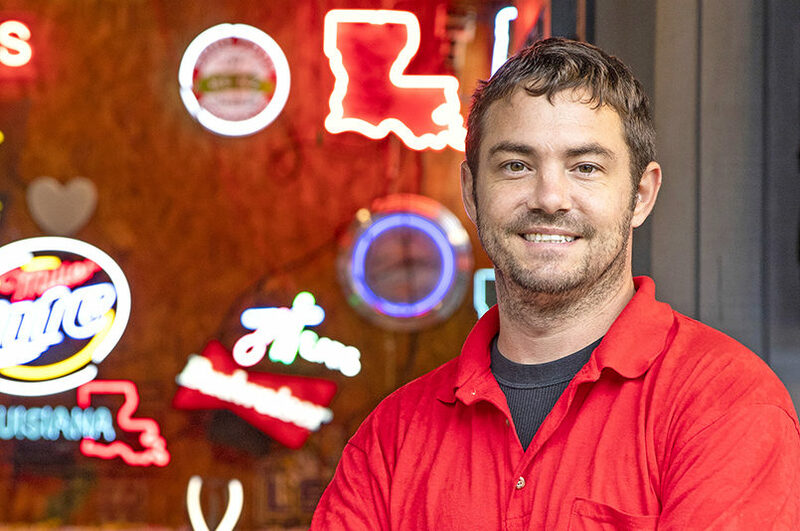 As the owner of Cajun Custom Neon, Clyde Bass is also the sole neon bender left in Baton Rouge. Bass has been lighting up restaurants, movie sets and businesses in the Baton Rouge area for nearly a decade. When he began to practice his craft in 2003, there were more than 30 neon craftsman in Louisiana. Now, he knows of only four. In light of the lack of neon sign makers, Bass’ biggest challenge is trying to meet the high demand for his work. In recent years, Bass has often had to turn down work because he can’t find the help he needs. “When someone calls wanting something new, it takes me about two months to get to it,” he says. Read the full Entrepreneur feature.